An Amazon brand - Bring fun and flair to your room with this 3-light arc floor lamp. Brass finish bridges the contrasting classic marble with retro-shaped shades. Individual lights can be adjusted for multiple settings. 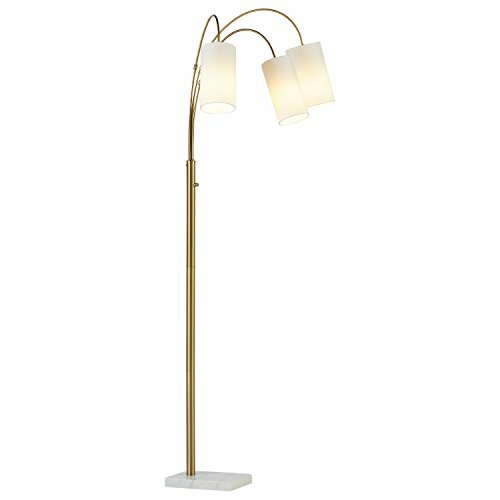 Bring fun and flair to your room with this 3-light arc floor lamp. Brass finish bridges the contrasting classic marble with retro-shaped shades. Individual lights can be adjusted for multiple settings.